Free from lactose, yeast, sweeteners or gluten. Bilberry (Vaccinum myrtillus) is a nourishing berry. 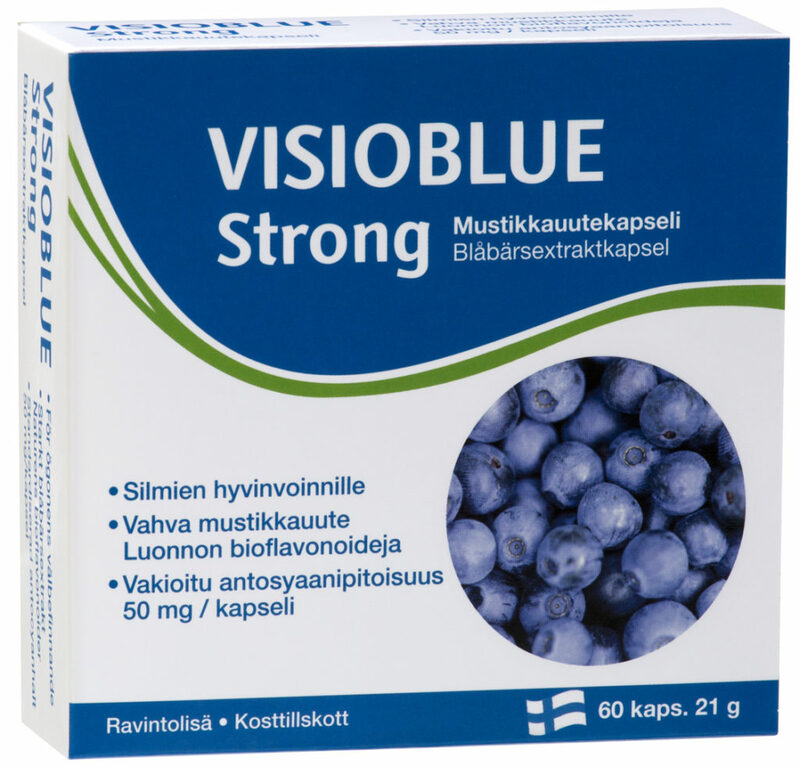 It contains plenty of minerals and vitamins C-, K- and E as well as pre-phase carotenoids from vitamin A.
Bilberry contains only a little fat from which most is essential linoleic and linolenic acid. Stomach cherishing, fibre-rich bilberry has traditionally been used for intestinal problems. Bilberry contains anthocyanins, which belong to flavonoids. Anthocyanins are antioxidants that support the functioning of the heart and vascular system. Anthocyanins are useful especially for the eyes, both over-strained eyes and for scotopic vision. Anthocyanins’ effects on eyes are mainly based on the fact that they increase peripheral circulation. 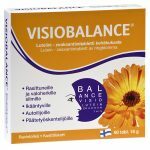 This is important especially for diabetics whose peripheral circulation starts to decrease with time, which is damaging particularly for the eyes. People using anti-coagulants should note that anthocyanins prevent platelets from clotting.